There is something I know about myself that I have to fight. It’s a daily thing. I still fall into the trap more times than is healthy. What am I talking about? True confessions, here: I have a tendency to be late wherever I go. 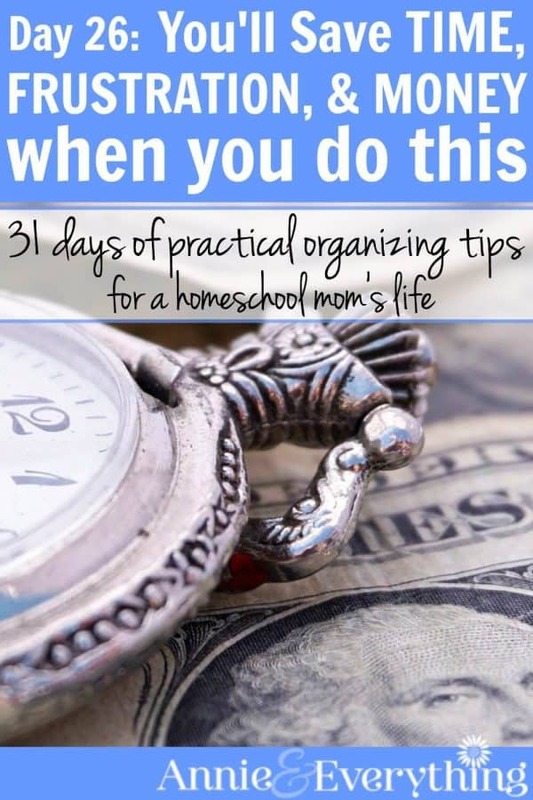 Welcome to 31 Days of Practical Organizing Tips for a Homeschool Mom’s Life! Every day there is a new organization hack to help calm the chaos. 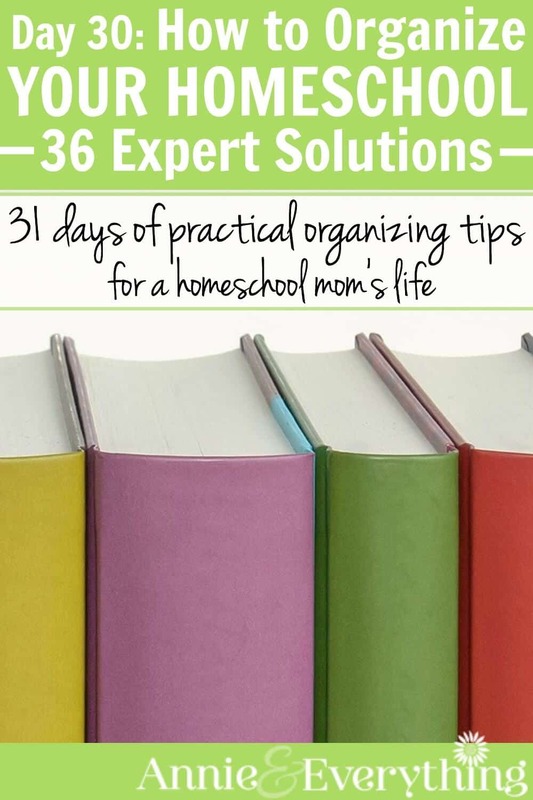 Find links to all 31 days here: 31 Days of Organizing Tips. I live in the moment, y’all. What I am doing RIGHT NOW is what I am into, and whatever is coming next isn’t really on my radar. So I will tend to stay doing what I’m doing until the very last possible moment before I need to get ready to go somewhere — except that I always (because I like what I’m doing right now and don’t want to stop) underestimate how long it will take me to get ready, and then I leave the house late — and therefore arrive late. 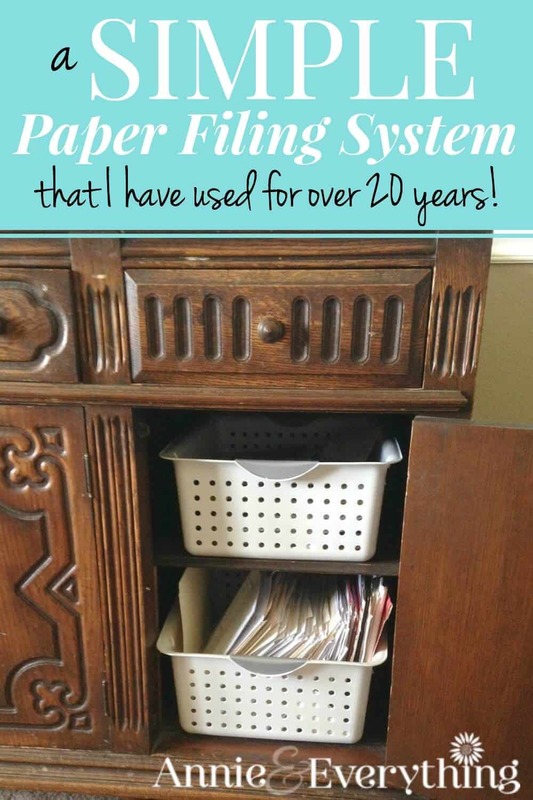 The organizing tip that helps me here is this: overestimate EVERYTHING. 1) Always give yourself more TIME to do something than you think you will need. For me (when I am being smart, that is), I add 15 minutes to however much time I think it will take me to get ready to go somewhere. Then when I have to iron something or I can’t find it or the car needs a jump, I’m still out the door on time. All day long, pad your schedule with extra time for each task. Or between tasks. Then you won’t feel constantly behind and playing catch-up all day. You will be able to BREATHE. And so will your kids, lol. 2) This tip applies not only to time but also to THINGS. Always overestimate how many supplies you will need for the craft or recipe or other project. Yarn comes in dye lots, for example, and if you make a mistake and have to start over, you don’t want to find out the store is all out of the dye lot you bought before. And you also don’t want to have to waste the time running back to the store because you dropped the egg carton on the floor when you have half-mixed cookie dough in the bowl. Or you ran out of ink in the cartridge partway through printing your son’s paper that is due in homeschool co-op tomorrow. 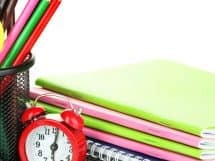 Even with a tight budget, overestimating the amount of supplies you need for just about anything will lessen your stress load and lead to more productivity in the long run. 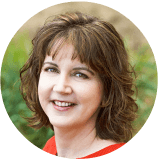 But I bet I know what you’re thinking: I get how overestimating and buying more of things may save time and frustration, but how does it actually save MONEY? Well, let me tell you about the time when we didn’t buy enough flooring and when we went back they had discontinued the color we had bought in the first place. Guess who had to replace what they had already done? Overestimating from the get-go would have saved us that extra expenditure. And what about when you drop those eggs on the floor but don’t have time to go to the store? All that half-mixed cookie batter goes into the trash can. That is a WASTE of money. When you overestimate and it turns out you bought too much, you can always return what you didn’t use. When you don’t overestimate and end up not having enough, there is often a waste of money involved. Just sayin’. 3) Which leads us to more on the topic of MONEY. Ah, yes, good ‘ol money. Saving up to buy a car? Overestimate. Trip to super W-mart? Overestimate. Putting new carpet in the living room? Overestimate. When you have more than enough money set aside for whatever it is, there is a sense of peace when you finally do purchase it. Always, always round up your estimate, because when you have some left over after your purchase — and you just might, woot! — you will feel SO much better than if you ran short. Overestimating the amount of time, supplies, or money you will need is very easy to implement and saves so much stress in the long run. It goes right along with the tip from Day 23 — and both enable you to be more productive with less frustration. So while I have been thoroughly enjoying writing about this tip, I’m going to stop now so that I don’t make myself “late” for the next thing. Which is making and eating breakfast — which I will also enjoy in the moment, lol.